To some, the food and beverage industry might seem confusing. One of the biggest questions is what is the difference between a sanitary process and a CIP-able process? A CIP-able or process/component that can be cleaned in place is sanitary but not all sanitary processes and components are CIP-able. If that isn’t confusing enough there are a bunch of other factors that regulate these processes like USDA, FDA, 3A and EHEDG. To keep things simple let’s focus on sanitary and CIP-able. A sanitary process/component is one that can be cleaned by a set of methods or processes. There are two main methods for cleaning parts of a process, clean in place and clean out of place. Most processes incorporate a combination of the two cleaning methods along with others. Clean out of place, or COP, is generally used for complicated pieces of equipment that have areas that are hard to clean. This is generally done by using tubs, buckets or COP systems. The best comparison is to that of what you see at home. When you are done using a mixer at home you usually take apart the machine and wash the components in your sink or dish washer. The industrial equivalents of these would be a COP wash tank and a SaniCab system like what’s pictured here. The other method is clean in place (CIP). 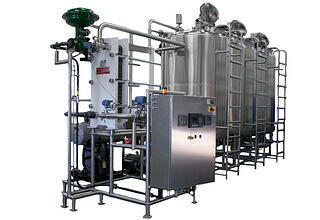 CIP is generally used for large pieces of equipment that do not have areas for contaminants to hide. 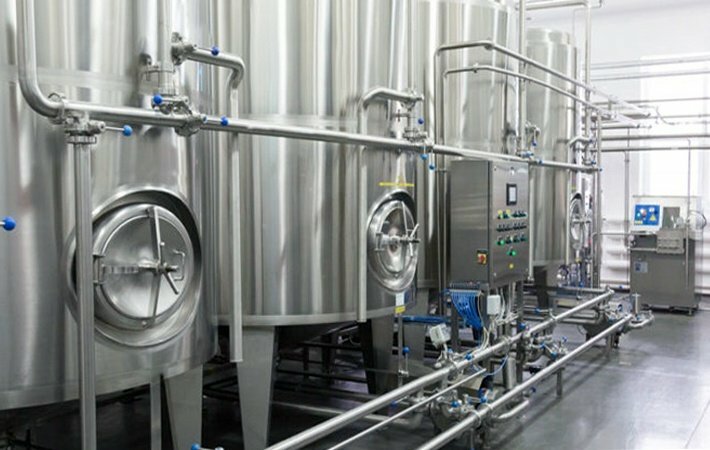 This would include long lengths of tubing, tanks, mixers and conveyers. 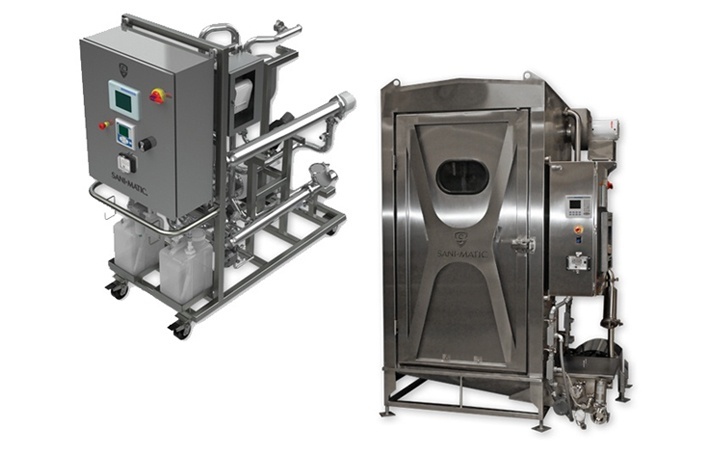 When CIP-ing a piece of equipment, like listed above, there will need to be a CIP system that is connected to the process to pump the proper cleaning cycle to remove contaminants from the process. 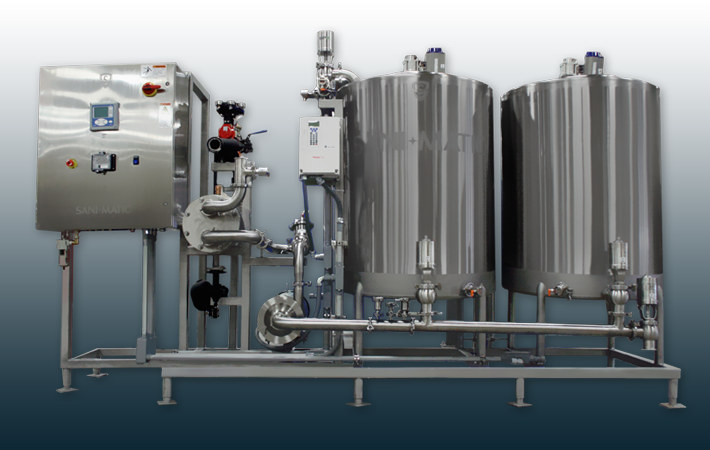 When designing the process for CIP there will need to by auxiliary equipment installed to support the CIP system. Spray balls, draining valves for any low points in the process and proper CIP-able equipment is selected. So what makes something CIP-able? A CIP-able piece of equipment is one that can be cleaned adequately with a cleaning solution at fluid velocity of 7 feet/sec. The equipment also needs to be free draining and not have areas for the cleaning solution to sit after cleaning. 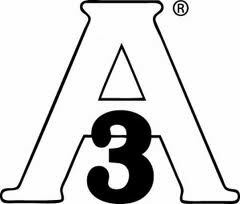 The best way to ensure that you are using the proper equipment is to check the 3A website (www.3-A.org). Be careful to not fall under the false conception that if a piece of equipment has a 3A stamp it is CIP-able. Some 3A standards specify that they need to be cleaned by COP or partial COP. This could include removing rotors from a positive displacement pump or manually draining the equipment. Questioning what's the right equipment for your process? Be sure to consult an engineer who has experience in sanitary processes. If you have any questions, contact us if you're in Wisconsin or Upper Michigan. 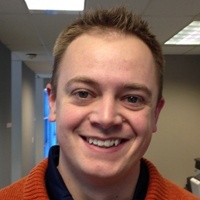 Chris is an Account Manager for Crane Engineering. He specializes in sanitary applications. He likes to make sure his customers are well educated on equipment and applications so they can feel confident in the decisions they make for their processes.